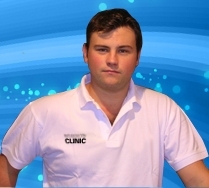 Warwick Harvey has been a Sports Massage Practitioner for 14 years. Warwick has worked with Premier league and Championship footballers for the last four years, working in multi-disciplinary healthcare teams with doctors, physiotherapists, chiropractors and osteopaths. Sweelian Marder has been working from Bartholomew Way Clinic since 2005 when she took over the sports massage work from Helen Chisholm, who moved to New Zealand. Sweelian has a very loyal following and is booked for several weeks in advance on Wednesdays and Thursdays. Take your first steps to feeling better… Call our reception team now on (01403) 276272 to book an appointment today or send us an email using our contact form.